Renting out your apartment at a time today, when more and more people are opting for homes that don’t burn a hole in their pocket, is beneficial to you. As buying land or property is typically an expensive affair, taking a house on rent becomes the preferred option for large sections of people, be it the newlyweds or those moving out to stay closer to the office. Renting out your apartment is not a daunting task per se, but you will greatly benefit by taking some important aspects into consideration. Deciding on the rent you will charge is important. Renting out your apartment is a competitive affair. 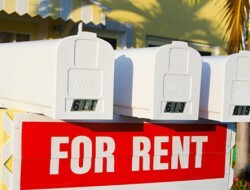 You will need to be aware of the average rents being charged in your area. Once you’re aware of the number, you can set your rate depending on more or less what you can offer to the prospective tenants. Consider quoting a reasonable rate. If you quote low, you may end up with many buyers, but at an opportunity cost. On the other hand, if you quote too high, you risk sitting by yourself for most of the time. I Have Fixed The Rent. What Do I Need To Know About Agreements? There are just a handful of things you need to know about laws, including contracts and insurance. The laws are more or less balanced. They’re neither tilting towards the owner nor the tenant. Verification is made mandatory for signing the rent agreement. Take professional help if required in preparing the rental agreement. It will make you as well as your tenants confident, as you both will be well protected from any unfair or illegal activities. Ensure that the agreement contains such information as the description of the entire property, the date on which the rent should be paid every month by the tenant, a clause related to termination, security deposit, and maintenance charges. Add anything else you think is important, and state explicitly. Any difficulty in understanding the agreement should be best avoided. Got It. What Documents Will I Need? Any one of the three important documents, namely lease deed, rental agreement, and license agreement, will come in to use while renting out your apartment. If you’re renting out your apartment for a period less than eleven months, you will require the license agreement and lease deed. For a period more than eleven months, a registration is necessary. The expenses will be shared between you and your tenant. The local police should have a copy of all the necessary tenant details. Renting out your apartment involves a certain amount of commitment on your part as well. It’s your responsibility to ensure that your tenants are provided with a healthy and safe living environment. Consider having the entire house cleaned up and checked for electrical safety. Ensure all leaks and breaks are fixed. Taking care of these aspects will make your tenants’ choice easier.